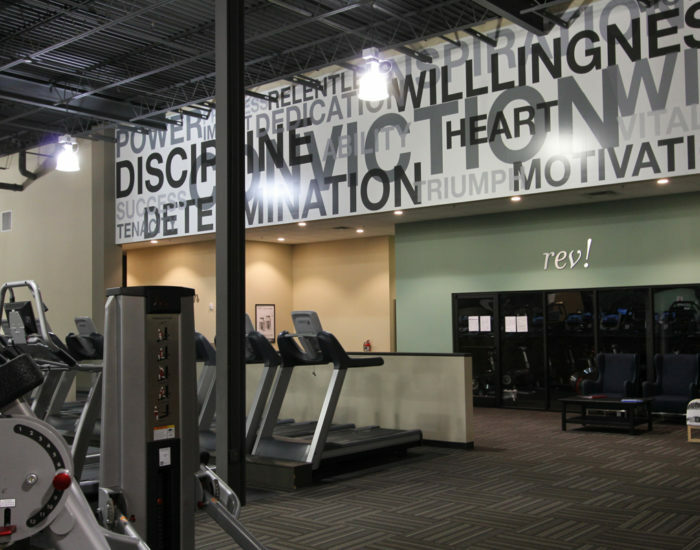 What can you do with a 50 year old SEARS warehouse? 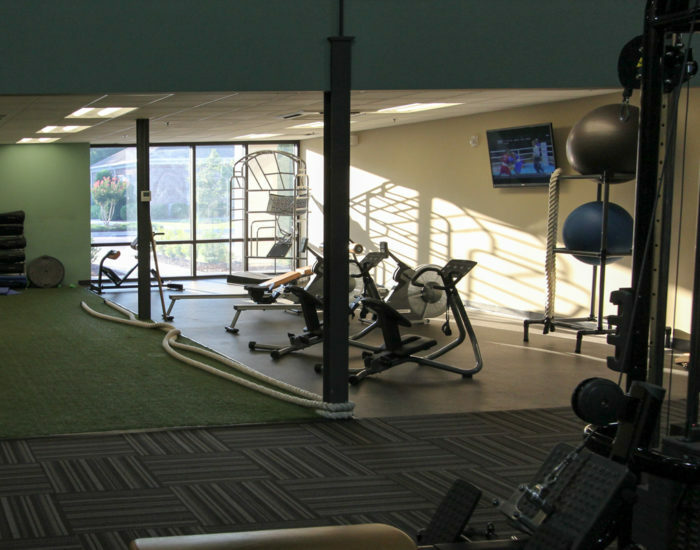 In this case we turned it into a state of the art gym. 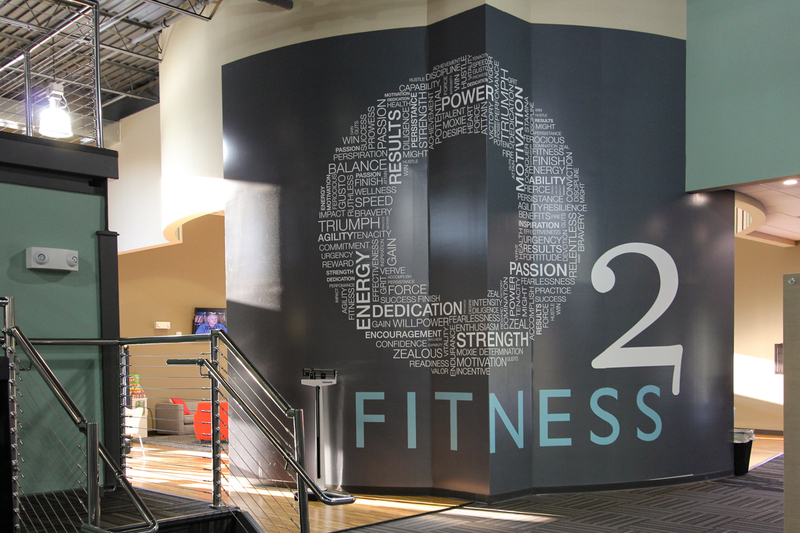 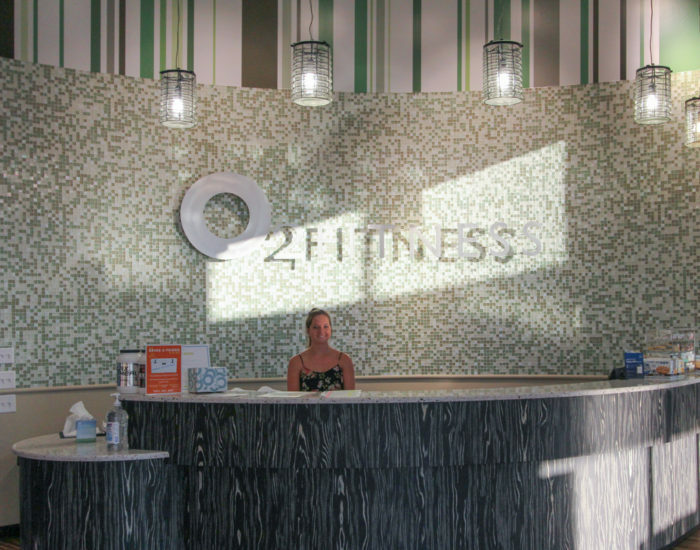 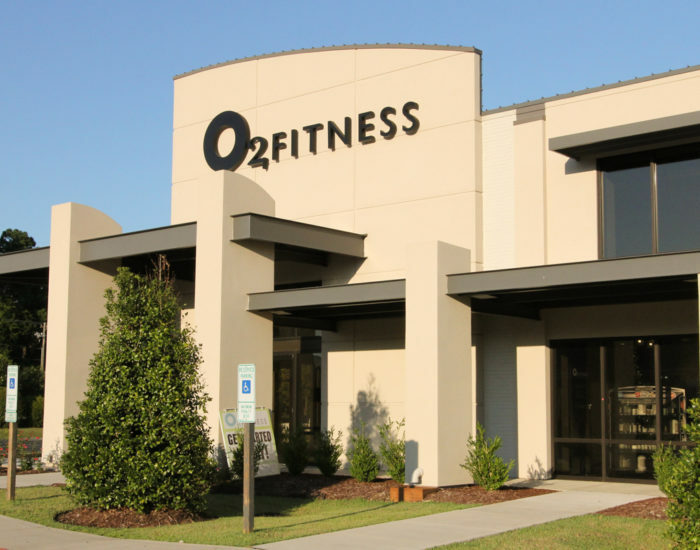 O2 Fitness of Raleigh wanted to expand their footprint in Wilmington. 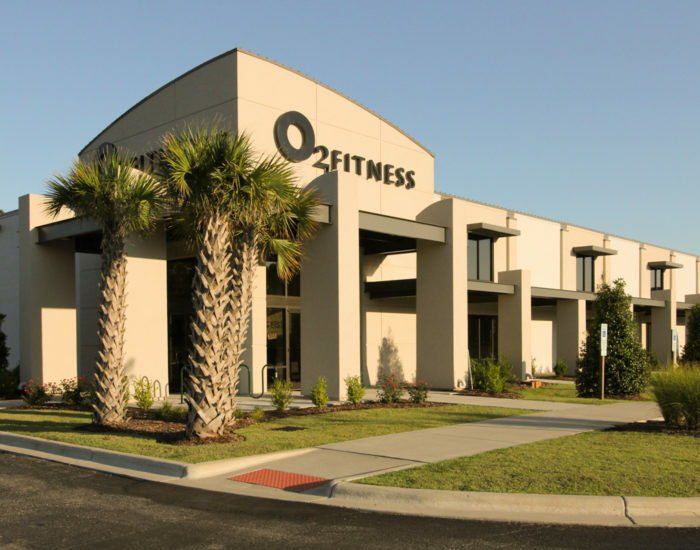 They turned to the Oleander Company, owners of the Hanover Shopping Center. 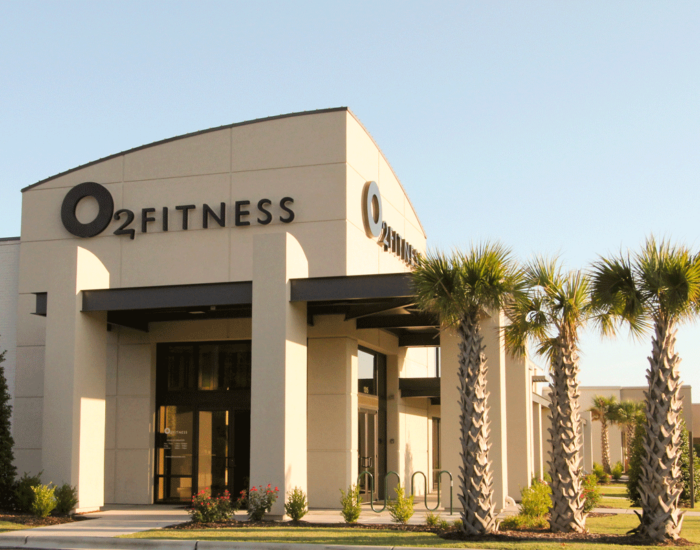 In the sixties Hanover Shopping Center was home to a Howard Johnson’s restaurant, Winn-Dixie and a demonstration bomb shelter. 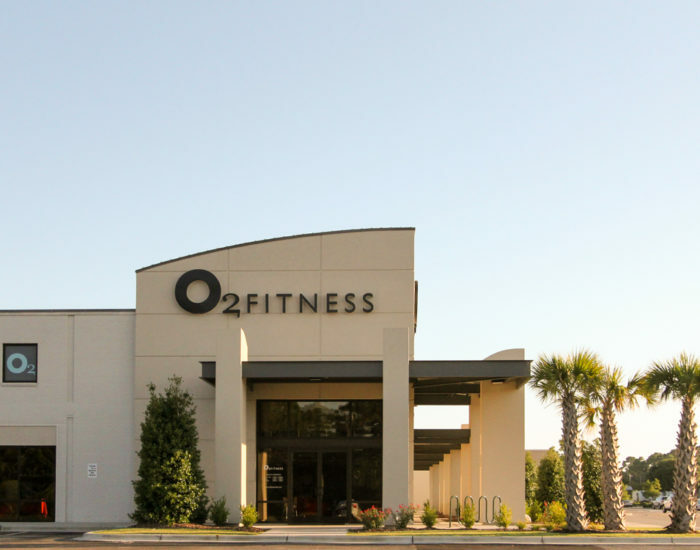 Now the area boasts Panera Bread, a Starbucks and O2. 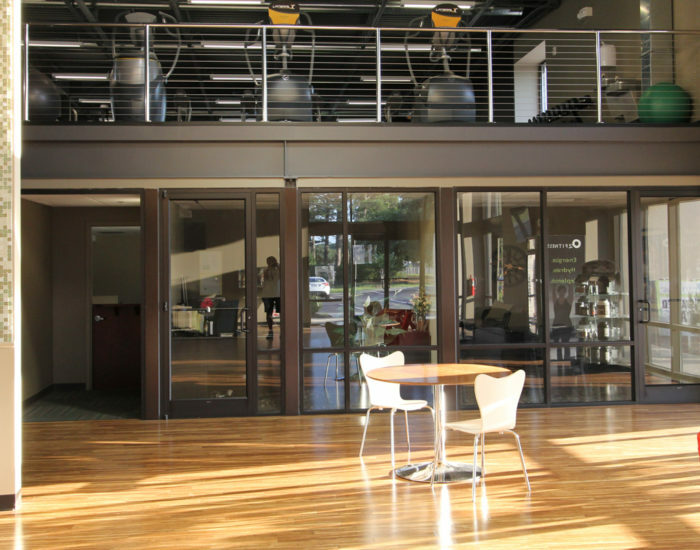 We helped the owner transform the outside and took charge with the design of the interior. 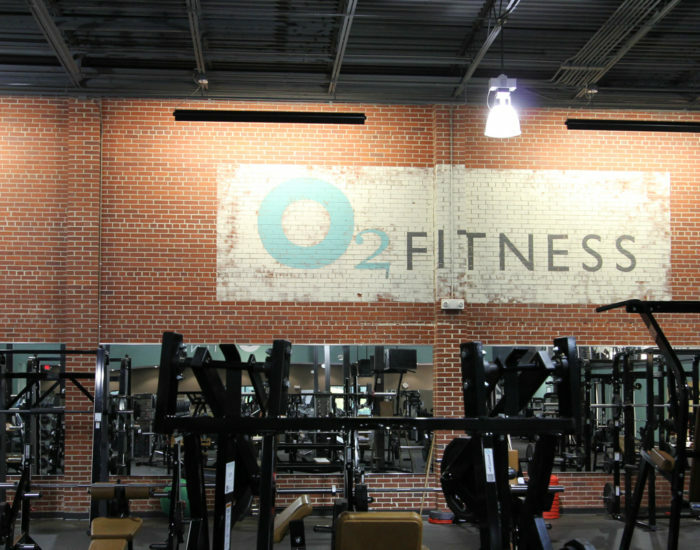 Taking advantage of existing brick walls and high ceilings, we created a steam-punk gym for the 21st century.